KNR Computer Service, Inc. is located in Rochester, NY and provides high quality technical service and support to business and residential clients in the Monroe County area. 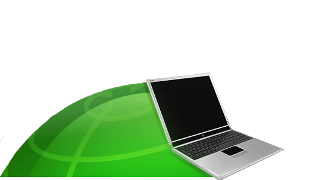 We install, maintain, and repair networks, servers, business workstations, desktop PCs, laptops, tablets, and smartphones. When you need help, we’re available to quickly solve the problem to keep you moving both at work and at home. You can count on us to make sure you thoroughly understand the problem to be corrected and the options available to you regardless of your experience level with technology. 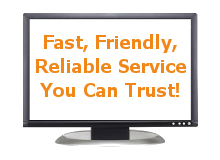 We respond quickly when you have questions or need help. We treat you with respect and communicate in plain English. We offer convenient scheduling with less wait time than our competetiors. Ron and Mike have over 40 years of combined IT experience. KNR Computer Service is the only computer service and repair company in the Rochester area to win the Super Service Award from Angie’s List every year since 2009. That’s 5 years and counting! Use Our Live Appointment Calendar to schedule a visit, or Contact Us by phone or email.